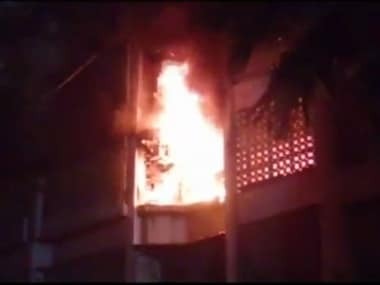 Four members of a family, including two children, were burnt to death after a fire broke out in a residential building in Marol located in Mumbai's Andheri East area. The family was sleeping when the fire broke out at 2 am. Seventeen others were rescued from Maimoon Manzil at the sprawling Dawoodi Bohra Colony. The deceased were identified as: Sakina A Kapasi (14), Mohsin A Kapasi (10), Tasleem A Kapasi (42) and a senior citizen, Dawood Ali Kapasi (80). They were all residing in a flat on the third floor of the four-storey building. They were taken to Cooper Hospital where they were declared dead before admission. Some members of the neighbouring family of Kotharis also sustained injuries in the fire and were being treated. They are: as Ibrahim Kothari (57), Sakina Kothari (53), Hussain Kothari (26) and Hafiza Kothari (21). The Kotharis were admitted to Holy Spirit Hospital for treatment. Of the four, Ibrahim suffered from suffocation and is admitted in the ICU. Another injured woman, Zara Cutlerywalla (42) was discharged after treatment. 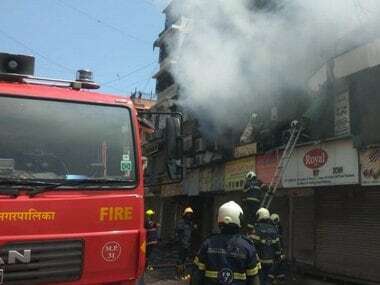 Fire in Mumbai's Marol locality. The fire spread to the electric wiring, electric installations and household articles in Room 306 on the third floor of four storey residential building. Fire Brigade officials said the blaze engulfed the flat from all four sides, trapping the ill-fated Kapasi family. The fire brigade received the call at 2.09 am and they arrived at the scene at 2.34 am. It was finally brought under control at 4.15 am. The fire was extinguished with three lines (small,big and high pressure lines) of 5 motor pumps. The cause of the fire is reported to be unclear and the matter has been reported to the police by the flat-owner for a detailed enquiry. The Marol fire comes only days after a fire broke out in Kamala Mills Compound in Lower Parel area of Mumbai, killing at least 14 people, including 12 women. Most of the deceased were in their twenties and thirties. 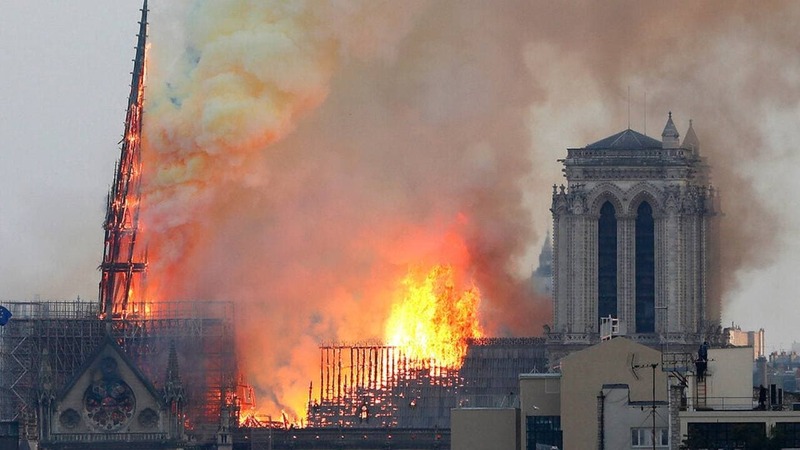 The fire had spread rapidly to nearby restaurants and offices as well. Reports said that the postmortem examination revealed that all 14 deaths were due to suffocation. The police has registered a case under Section 304 of the IPC (culpable homicide) against 1Above, the restaurant where the fire reportedly broke out.